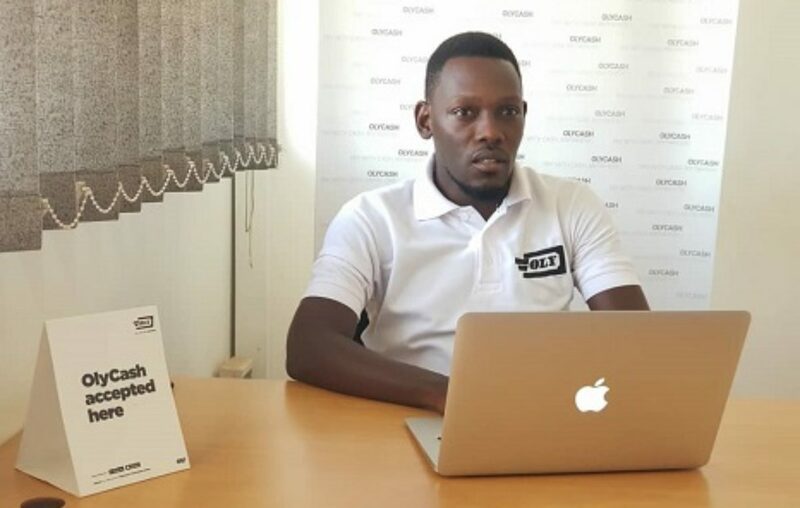 Ash Luwambo is in charge of marketing and operations at OlyCash. Supplied image. Innovators around the globe are racking their brains to come up with the best possible means through which we can move money and pay for products and services. Over the years a lot has been done but the financial transaction puzzle is still incomplete. This is why investors are still pumping lots of cash into the financial technology space. For instance, according to WeeTracker, of the 93 investment deals made in Africa in 2018, fintechs accounted for 40% of total funds raised and also accounted for five of the top ten largest deals. The proliferation of financial technology companies, though offering almost similar services, is based on multiple reasons; one company will tweak its product to cater to needs of consumers in areas with poor internet connections, others will innovate to help people with certain types of gadgets; also, needs of people vary from one community to another: for instance, farmers may need a product different from people in the transport business. 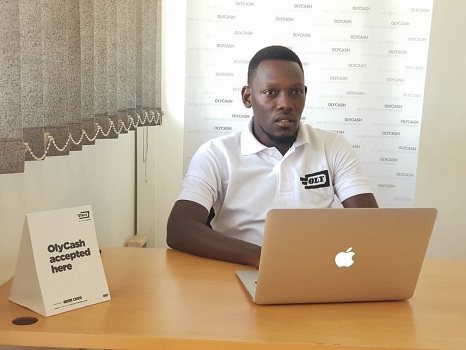 At OlyCash, three Ugandan entrepreneurs — Eisah Mayanja, Ash Luwambo, and Al Zziwa – came together in 2016 to develop service to enable remote cash payments, online and offline. OlyCash allows anyone to instantly and at no fee, pay to, and get paid from, any valid email or telephone contact by anyone with cash anywhere. However, OlyCash charges a fee of 1% on withdrawals to third-party services such as banks or mobile money. These services have varying processing charges. “With OlyCash, anyone near you is a personal ATM. If you have cash, locate the nearest OlyBoss (their name for an OlyCash agent) – who could be your housemate or workmate, hand them cash in exchange for an OlyCash Code or hand them an OlyCash Code to get cash. Thus, no card or bank account is required to transact remotely,” says Luwambo. You can use OlyCash to pay for services from dealers that have been listed items or services on OlyPages. They’re already working with salons, pharmacies, shops, coffee shops, and travel websites. Some of these include Menlyn Barbers Salon (Rubaga Road), Chapters and Verses Café (Miracle Center Cathedral), Star Looks Beauty Salon (Ntinda), 10K Shop (Ntinda), Amylia Clothing (Ntinda), Verses Hotel (Rubaga), MM Pharmacy (Kansanga, Wandegeya and Ntinda Branches), Virgin Videos (Kisementi), Numack Pharmacy (Mengo), She Gadgets (Bombo Road) and Keek Stores (Mabirizi Complex, Kampala Road). Some of the websites are igufasafaris.com, dcmichurch.org, mamatulia.org, abumayanja.org, etc. You can also become an OlyBoss. When you are an OlyBoss, funding or withdrawing from your OlyCash wallet can be done with a bank account, Mobile Money, PayPal, and any major cards. OlyBosses also work as OlyCash’s user registration and verification partners. There is a growing list of services to enjoy with OlyCash, including ticketing, selling, batch payments, shipping, direct payments, etc. Since 2016, OlyCash has been self-funded and it is currently operating only in Uganda. In a recent interview with SautiTech, however, Luwambo said they are now open to investors. The startup faces challenges like any other technology firm in an emerging market have to deal with: expensive data, poor internet penetration, limited investment opportunities, etc. According to a recent Jumia Uganda report, it seems people are still reluctant to use cashless payments when shopping online. The report says that only 6% of the transactions are done through Mobile Money.